GIFT BAGS for Your Hotel Guests! Looking for a way to Enhance the stay of your guests coming to town for Your Event? 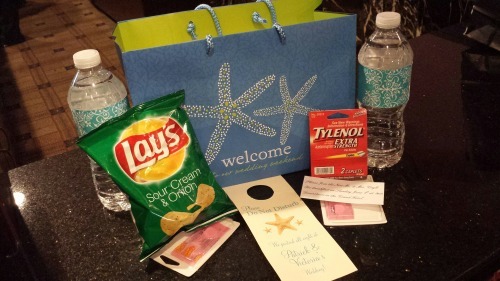 Poughkeepsie Grand Hotel sees Personalized Gift Bags filled with all kinds of Goodies like Bags of Chips, Advil & Tylenol to Cure a Hangover, Cookies, Candies, Maps of the Area, Thank You Cards, Bottled Water…and even Cute “Do Not Disturb” Signs! Planning a Hudson Valley Wedding or another event and need some inspiration? We are here to help…Contact one of our dedicated event coordinators today 845-485-5300!